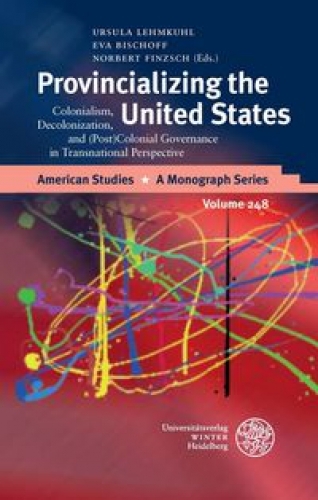 Description: This volume submits a theoretically reflected and empirically saturated contribution to the debate about transnationalizing U.S. history. Its contributions explore U.S. history from the margins, discussing topics as diverse as U.S. settler imperialism, technological and intellectual networks, Native American history, or African-American missionaries. They open up new, post-colonial perspectives on North American history, thereby provincializing the United States.